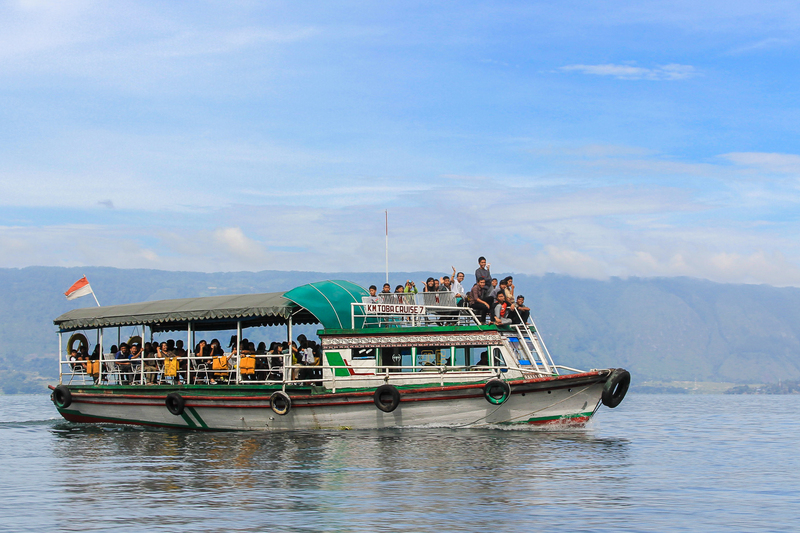 Now that my holiday blues have worn off, I’m ready to write about my trip to Lake Toba and Berastagi! After 6 months of sitting still, I finally got the chance to fly out of this tiny red dot of Singapore. This time, I went home for my wedding dinner reception! Since I am from Indonesia and my hubby is from Malaysia, we are having 2 wedding parties at each other’s hometowns. Indonesia’s wedding was in January, and Malaysia’s one is coming up soon in February. Since my hubby’s family members are coming over all the way from Malaysia to attend the wedding, and my relatives are coming over from other Indonesia cities, we decided to organise a trip to Lake Toba and Berastagi after the wedding, to introduce the beauty of North Sumatera. It was a 4D3N trip with a group of 14 people. The youngest in the group is 3 years old while the eldest is 82 years old. We certainly met many challenges planning and executing this trip, because everyone has different preference and requirement, but we have limited experience and budget. This trip is also a learning journey for me with regards to travelling with an elderly and a vegan, something that I have never done in my life. Our group of 14 people consists of: myself, my hubby, my mom, my younger sister, my hubby’s family (my mother in law, father in law, sister in law, grandmother in law), and my aunt’s family (my aunt, aunt’s husband, cousin, cousin’s husband, aunt’s daughter in law, aunt’s granddaughter). For transportation, we rented a 20-seater tourist coach, which was cheaper and more comfortable than renting 2 cars with drivers. The total cost for bus rental was Rp 6,600,000. Here’s the breakdown: Rp 5,8 mil for 4 days rental + Rp 500k additional charge for exploring Samosir island + Rp 300k additional charge for stopping in Medan on the last day before heading to the airport. 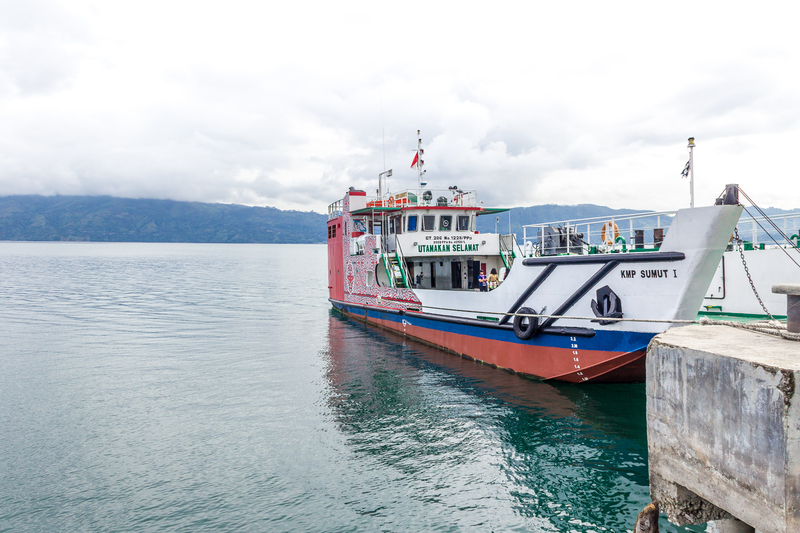 The cost includes driver’s meal and gas, but excludes parking charges, entrance fees to attraction places, ferry fees to cross to/from Samosir island (Rp 200k each way). I booked from Raya Utama Travel (WhatsApp: Acien +6287766031299) and paid in full via bank transfer (you can also pay cash at their office and request a receipt after the payment). For the hotel in Samosir, we booked Samosir Villa Resort for 2 nights. It cost IDR 500,000/night for a deluxe room. I booked directly with the hotel by phone reservation and paid in full when I checked in. 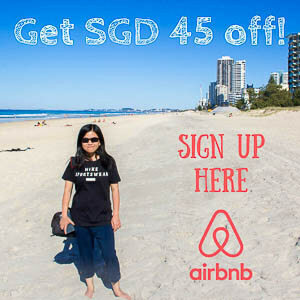 You can also book from Agoda. 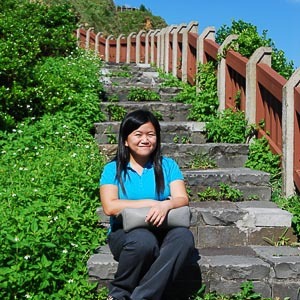 For hotel in Berastagi, I booked 2 villas at Villa Berastagi Highland. It cost a total of IDR 1,400,000. I booked with Medan Travellers Tour & Travel (WhatsApp: Dewi +6285275005533) and paid in full via bank transfer. One villa turned out to be good, and one not so good, so book on your own risk. I have always travelled to Lake Toba and Berastagi by car (either renting one or tagging along with friend/family’s car). I had no experience taking public transport to Toba or Berastagi. But there are companies who provide shared taxi to Siantar, Parapat, and Berastagi. If you are travelling solo, it’s cheaper to get the shared taxi compared to renting a car. I don’t recommend non-Indonesians to drive from Medan to Toba or Berastagi, because the roads are narrow and full of twists & turns, and local drivers are known to be aggressive. It’s tough to plan and execute a trip for such a big group. I thought I would have sufficient time to connect to everyone and to catch up on each other’s life. But 4 days weren’t enough. Being the chief planner and executor consumed my time and drained my energy. I was constantly on the lookout for everyone’s well being. I was also a full-time translator, decision maker, fulfiller of my guests’ wishes. I was plain tired most of the time. Perhaps it was due to my character as an introvert who love to do things in silence. Despite being exhausted, I was absolutely mesmerised by nature’s beauty. The horizontal hills surrounding Lake Toba, the horizon when I look far at Lake Toba, the windy ferry ride to/from Samosir, the narrow roads in Samosir island, the view of Lake Toba from above, the fabulous Sipiso-piso waterfall, the view of mountain from Berastagi, the oxen, goats and monkeys we saw along the road. It felt so different from a city. It felt like a whole different world. I could wake up to that kind world every single day. This trip got me thinking, I should explore Indonesia more, shouldn’t I? Yes u can try go explore more about Indonesia 🙂 bcoz still have a lot beautiful place that you haven’t see and capture. Inb4, u need to save more money for the travelling bcoz it will coz a lot :D.
Haha yes, I will explore more places in Indonesia 🙂 Yeah, gotta work harder now!